Our guests bring tandoori chicken, vegetarian pulao, Sri Lankan chicken curry, Chinese red-cooked duck, Taiwanese oiled rice, sushi, sashimi, kimbap, mochi, Thai butternut squash, hummus and baba ghanoush. We don't even bother with turkey. More than three decades after Vincent Chin's death, the decision not to indict Darren Wilson reminds us that our justice system is still broken,” said Emma Chen, president of American Citizens for Justice/Asian American Center for Justice. Chen was recalling the 1982 beating death of Chinese-American Vincent Chin, whose killers were fined $3000 and never spent a night in jail. 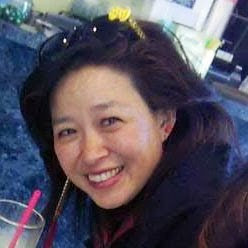 “In the first enrollment, we had NO support or resources in terms of bilingual navigator assistance for the Asian-American community,” says Dr. Tsu-Yin Wu, Director of Michigan’s only AHJ member Healthy Asian Americans Project (HAAP). But this year, she received a federal grant to hire additional help, and is hiring bilingual navigators who speak Mandarin/Cantonese, Bengali, Vietnamese, Tagalog, Hindi, and Gujarati. A professional football player is a surprising spokesman for bullying prevention, but Pittsburgh Steeler Hines Ward is drawing from his own childhood to bolster his advocacy. I'm teaching an all-day writer's workshop this Saturday that I jokingly call my mid-life crisis writing workshop: Dare to Dream this Saturday, November 21, 9:30-3:25, at Washtenaw Community College. Sign up at wccedu.net under Lifelong Learning (I can't find the link for some reason, but everyone else tells me that it is there). “The Mayor has snubbed over 60 community-based organizations representing a diverse cross-section of New Yorkers calling for a town hall meeting and basic reforms to community policing,” said Chaumtoli Huq, “In doing so, he has failed New York in his simplest obligation to us." Literary Journals Featuring Writers Of Color - Writer's Relief, Inc.
"I've had to help my friend’s parents move out of their home in Pahoa...I have great memories there, so sad to think of what will happen.” Did you know 100 years ago Pahoa was a largely Japanese American town? Check out the historic photos. Thanks Sam Horiuchi! My article for NBC News Asian America. Thanks to Rotary International for making the reporting for my article in NBC News Asian America possible. The Philippines has come a long way after Typhoon Haiyan (aka Yolanda) but it still has a long way to go. Thanks to all who are helping with the recovery. Thanks to all who shared their stories and their time with me. “We were housed in a proper building, but you could feel the walls shaking. By the end of the day, we didn’t have a roof," said Sumaylo. What changed for me that year at the parade was seeing veterans my own age. I wanted to understand how and why someone my age, from my community, would decide to serve. I saw older and younger Chinese American veterans coming together to pose for a photo. Phil Eng, a Korean War vet said, "We're four generations of Chinese American vets here! If you're a writer, you should write a book about us!" What an amazing literary festival--First Annual Indo American Arts Council Literary Festival--why do i always live so far away from everything? Chatting online with Vanessa Teck for Terry Park's class at the University of Miami in Ohio today about the Vincent Chin case. "Asian-American voters continued to support Democratic candidates in 2014, but their support has declined since the 2012 presidential election,” said Margaret Fung, Executive Director of Asian American Legal Defense and Education Fund (AALDEF). LOVE Richard Rodriguez! I followed him--floated out after him, really--once out of lecture hall and out to the subway...and then i wrote to him about it afterwards...and he didn't find me completely insane, lol. No better writing teacher than reading this piece. How does he do it? "You will recall that when King Lear takes off his clothes, he offends majesty. The scandal of Lear’s abrogation is that, without raiment, a king is a frail, poor creature, indistinguishable from a groundling; his kingdom is disarmed." "The great tragedy of my life is not being separated from my family, but being separated from the sensibility of missing them, after living without them for decades." “Mainstream media mostly ignored Asian American voters and did not do surveys in Asian languages. But now that Asian Americans are the fastest-growing racial group in the country, elected officials and candidates in close races can't ignore the Asian-American vote any longer." Also, for any registered voter who might have difficulty with English, you can bring a helper! Section 208 of the Voting Rights Act, added in 1982 by Congress, allows any eligible voter who needs assistance at the polls because of blindness, disability, or inability to read or write to bring a person of his or her choice into the voting booth to assist with the voting process. Teaching today. Lots of activists in my "jumpstart your memoir" class this am. Still time for you to join our afternoon class "writing with style finding your voice"